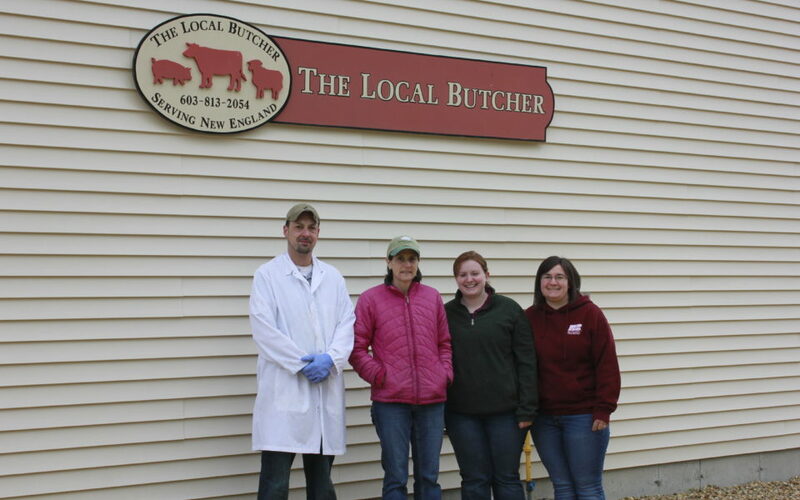 Thanks to everyone at The Local Butcher in Barnstead, NH for donating the full cost of processing and packaging 295 pounds of ground beef to be donated to NH Food Pantries! The Barnstead Food Pantry received 50 pounds of ground beef donated by the Young Farmers as part of their Harvest For All Campaign. The NHFB Young Farmers raised and donated approximately 300 pounds of fresh ground beef to five foot pantries and soup kitchens across the state. 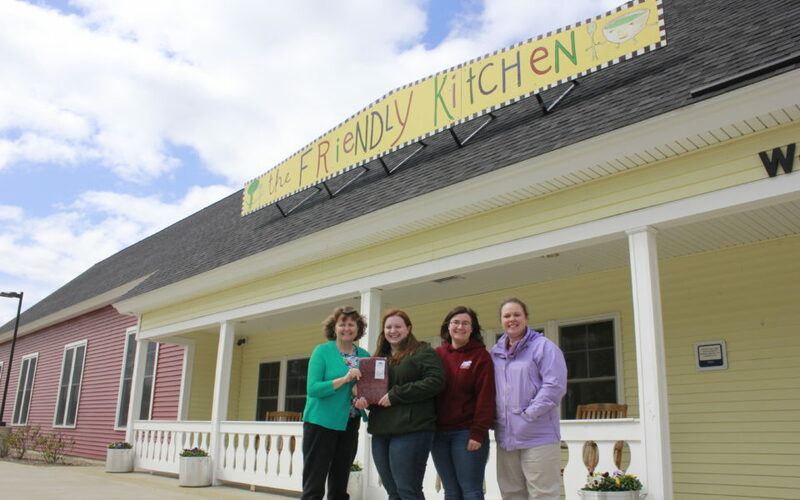 (left to right) Friendly Kitchen Director Jennifer Lombardo, Young Farmer Committee Chair Amy Matarozzo, Young Farmer Coordinator Leandra Pritchard, and Young Farmer Committee Vice-Chair Christina Murdock at the Friendly Kitchen in Concord, NH. 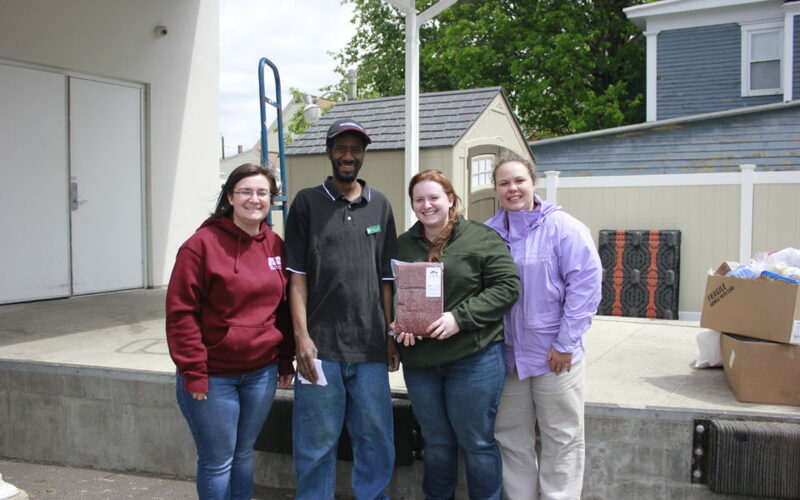 (left to right) Young Farmer Coordinator Leandra Pritchard, Nashua Soup Kitchen Staff Rich Walker, Young Farmer Committee Chair Amy Matarozzo, and Young Farmer Committee Vice-Chair Christina Murdock ouside the Nashua Soup Kitchen and Shelter in Nashua, NH. 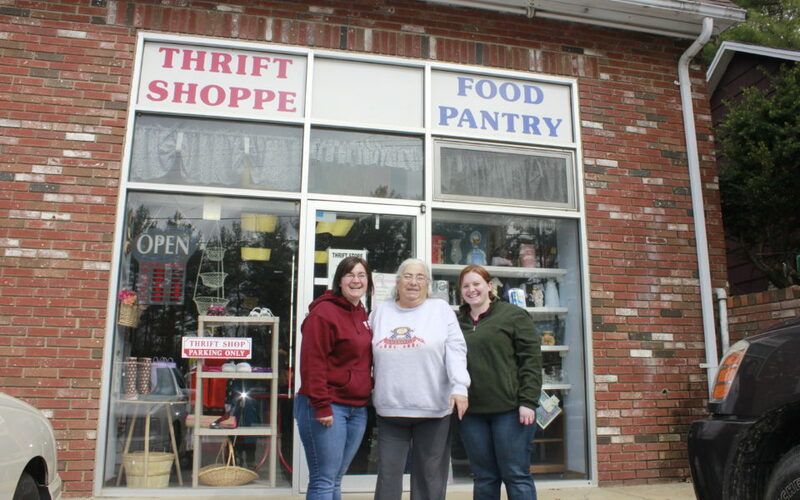 Concord, NH – The New Hampshire Farm Bureau Federation Young Farmers Committee donated 295 pounds of ground beef to several food pantries and soup kitchens across the state on Monday, May 16th. As part of the Harvest For All Campaign, a partnership with American Farm Bureau’s Young Farmers and Ranchers Program and Feeding America, a nationwide network of food banks, the Young Farmers annually organize the collection and donation of fresh produce from New Hampshire Farms to help fight hunger. Last year they collected and donated over 5,000 pounds of fresh produce to soup kitchens and food pantries across the state. Expanding on their traditional efforts, the Young Farmers decided to raise a beef cow as part of this year’s Harvest For All Campaign. This entry was posted in Press Release and tagged Donations, Food Pantry, Ground Beef, Harvest for All, New Hampshire Agriculture, NH agriculture, NHFB, Soup Kitchen, Young Farmers on May 16, 2016 by Josh Marshall - NHFBF Communications Director.